Our phenomenal new House pennants were unveiled in Friday's House Assembly! We think you'll agree that Mrs Pye and her team of artists have done a simply outstanding job!! These wonderful pennants will be used in House Assemblies and on special occasions, such as Sports Days. 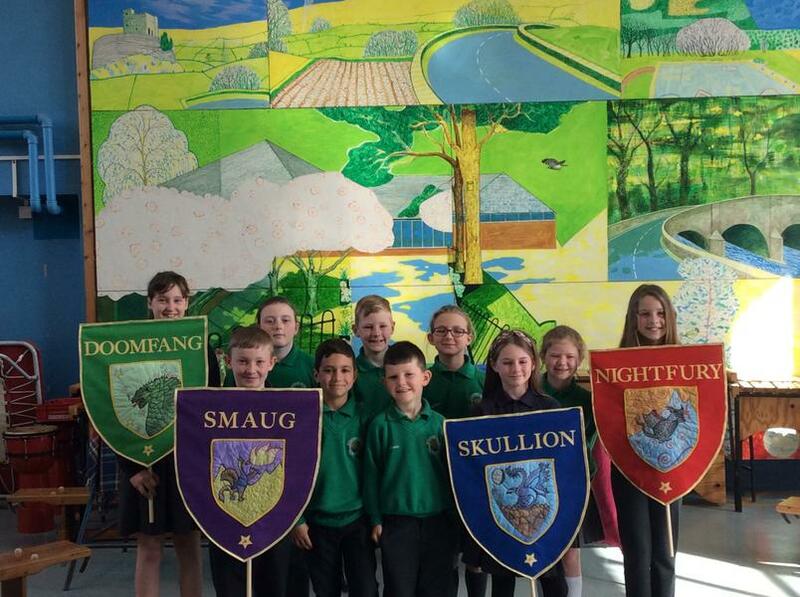 A huge vote of thanks to Mrs Pye for her superbly creative work on this project and to the young Year 5 artists who designed the mystical dragons! Such creativity and teamwork really do sum up what Edisford is all about!